Louis Armstrong arrived in New York City in 1929 relatively unknown but left less than a year later a sensation. 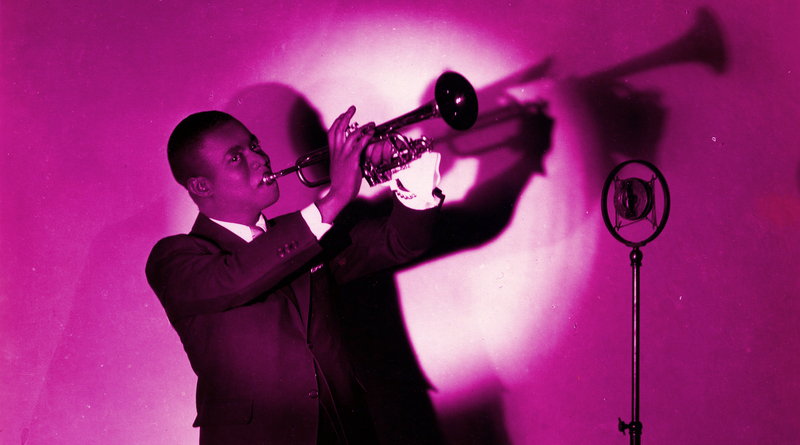 In celebration of International Jazz Day, historian Ricky Riccardi of the Louis Armstrong House Museum offers a rare glimpse of Armstrong’s meteoric rise to stardom during the Harlem Renaissance from his first performances at the legendary nightclub Connie’s Inn to his stint in the Broadway revue "Connie's Hot Chocolates." After Riccardi’s talk, join us for a special live performance by the Louis Armstrong Eternity Band. This event is part of Core Conversations, a series featuring the city's most original thinkers as they engage with topics related to our New York at Its Core exhibition. To view all the programs in the series, click here. Ricky Riccardi is the Director of Research Collections for the Louis Armstrong House Museum and author of What a Wonderful World: The Magic of Louis Armstrong's Later Years (Vintage, 2012). He runs the online blog, "The Wonderful World of Louis Armstrong," and has given lectures on Armstrong at venues around the world. David Ostwald's Louis Armstrong Eternity Band has been performing since 1980, inspired by the noble jazz pioneers Louis Armstrong, Bix Beiderbecke, Duke Ellington, Jelly Roll Morton, and their colleagues. They have a weekly engagement at Birdland and have performed at Lincoln Center’s Midsummer’s Night Swing and the Schomburg Center for Research in Black Culture. Members: To receive your discount, click on the "Buy Tickets" button above, then sign in to your account on the ticketing page. Groups of 10 or more get discounts; contact us at programs@mcny.org or 917.492.3395. Accessibility: Assistive listening devices are available and our auditorium wheelchair lift can accommodate manual and motorized wheelchairs (max. capacity 500 lbs). Please contact the Museum at 917.492.3333 or info@mcny.org with any questions. What made New York New York? Follow the story of the city’s rise from a striving Dutch village to today’s “Capital of the World,” and consider its future in our changing world. Co-programmed with the Louis Armstrong House Museum. Join us for a knitting circle to discover various techniques to make a special flower design to take home with you. Join us for a day full of storytelling, traditions, and songs in honor of the Passover holiday! Learn more about the many uses of this mollusk, including how it purifies New York Harbor today. Then cast your own oyster print from plaster to take home with you.